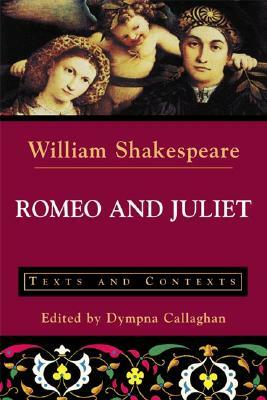 Romeo and Juliet: Texts and Contexts (Paperback) | The Drama Book Shop, Inc. This edition of Shakespeare's Romeo and Juliet reprints the Bevington edition of the play accompanied by six sets of thematically arranged primary documents and illustrations designed to fit many different approaches to Shakespeare's play and the early modern culture out of which the play emerges. The texts include travel accounts, poetry, excerpts from early modern fencing manuals, royal proclamations and statutes, tables and prognostications from an early modern almanac, and orders for religious ceremonies from The Book of Common Prayer. Unique to this edition, too, is the inclusion of numerous unpublished manuscript letters of the Bagot family and some poignantly moving passages from the diary of Lady Anne Clifford. The documents contextualize the social relationships among men in Shakespeare's time, violence in Elizabethan society, views of love and the Petrarchan paradigm, spiritual life, family in Elizabethan society, and ideas about astrology, medicine, and death.